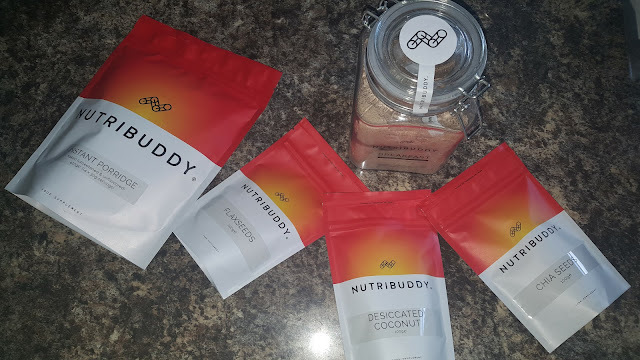 I absolutely love my Nutribuddy Sculpting Whey Powder. I have been drinking it since last January when it came out and I've been buying it ever since. 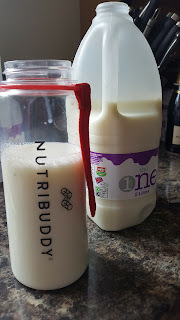 It is my go to protein drink and it has helped me loose weight and improve my figure. I highly recommend it to anyone who needs a kick start to a healthier lifestyle. I have mentioned it previously on my blog so I'll add the links to those posts at the bottom. 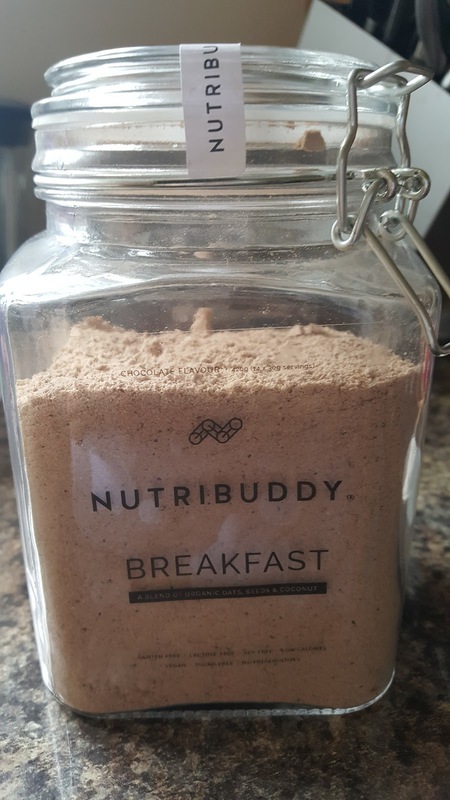 Nutribuddy have become so popular that they have already expanded their products. So to add to their vanilla and chocolate whey protein shakes, vitamins and hunger fix tablets they now have the Breakfast Kit. 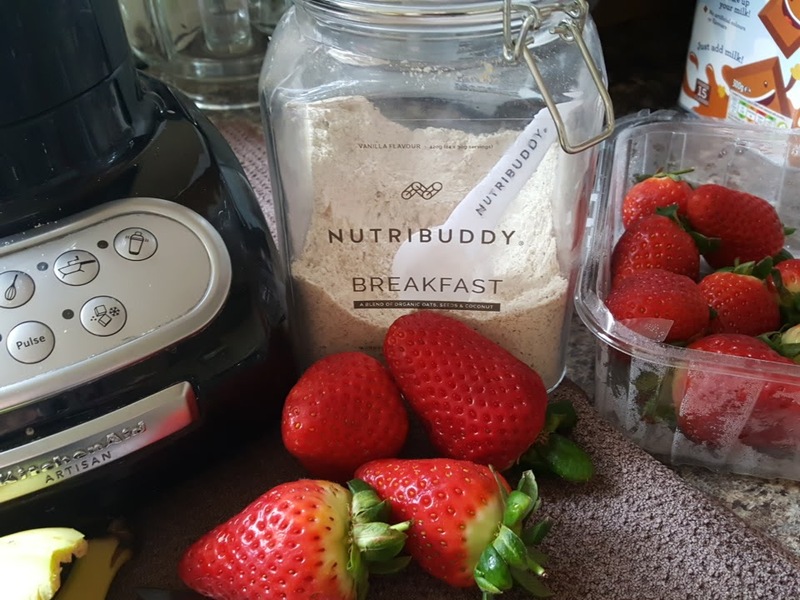 Now we all know that breakfast really is the most important meal of the day, as it kickstarts your day, wakes you up and gives you plenty of energy to keep you going until lunch time. 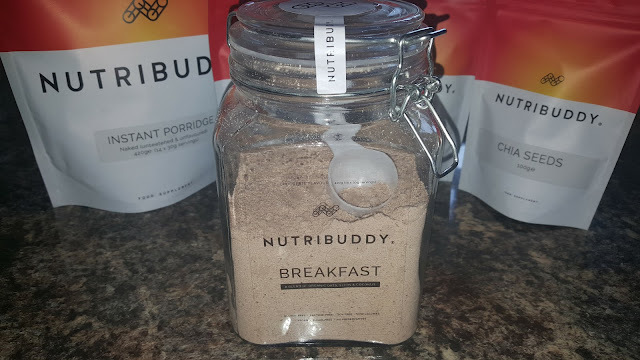 The full Nutribuddy Breakfast Kit includes the Breakfast Shake, Instant Porridge, Flaxseeds, Chia Seeds and Desiccated Coconut. As you can see the packaging is beautiful, and very aesthetically pleasing. I love these glass jars as they look perfect on my kitchen worktop, as it's like having my own little health shop. The Instant Porridge is a blend of porridge oats, organic chia seeds and organic coconut, which is an energy boost in a bowl. It is also Gluten Free and suitable for vegetarians and vegans if you use a dairy milk substitute. 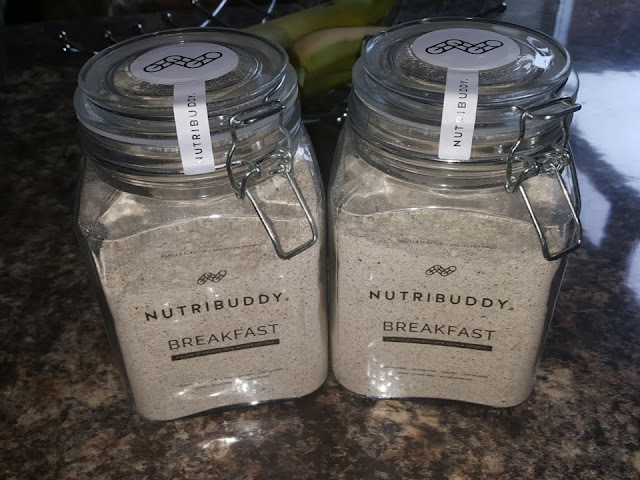 It is so easy to make, as you literally just add 3 Nutribuddy scoops or 30g of Instant Porridge mix and 6 scoops of milk as per their recommendation, to a bowl, mix and then warm up in the microwave for 1 - 2 minutes. Breakfast is served. This is available in vanilla flavour or plain unsweetened flavour. When I make the porridge, I do add more milk and keep going until I am happy with the consistency that I am used to. Everyone is different, as some like their porridge really thick and others like it quite runny, so I think I added almost 10 scoops in the end. 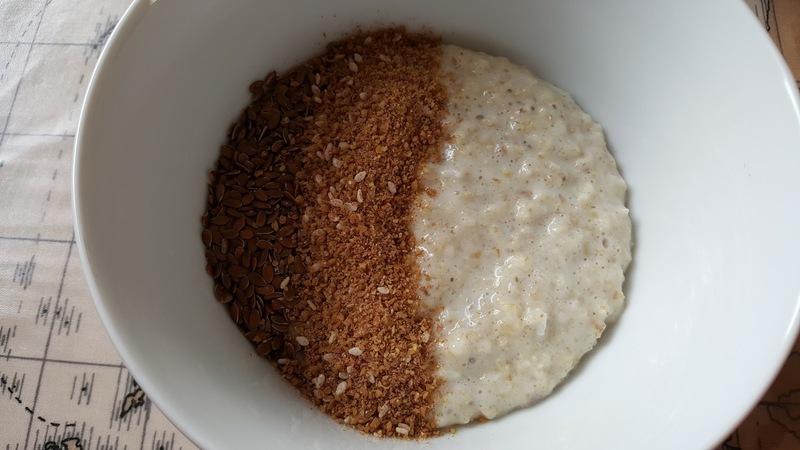 As a plain porridge, it is just that. As I have a sweet tooth, I like to drizzle honey over my porridge and maybe some dried fruit or fresh fruit. I might even add more coconut and flaxseeds to give it an extra bite or I'll add my linseed mix to it. As it is quick and easy to make, it's a good healthy quick breakfast that keeps you full until lunch time. So along side the Instant Porridge, you have these extra beauties. 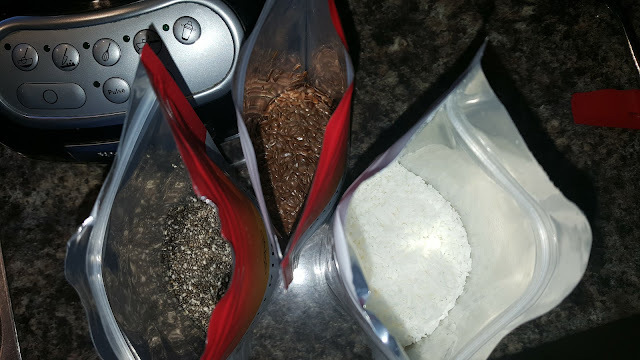 Chia Seeds, Flaxseeds and Desiccated Coconut. 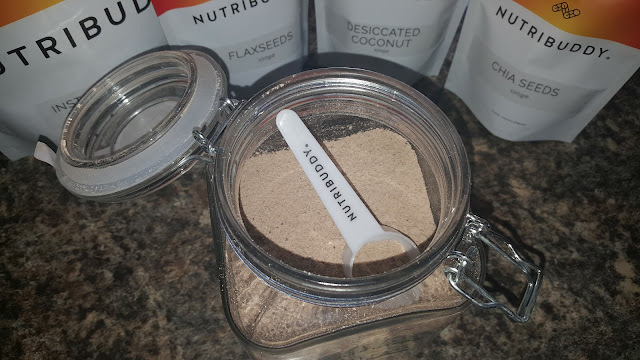 I have been using these on and off for years as they are all super healthy and great to add into recipes for healthy flapjacks, energy bars, protein balls, smoothies, cakes, bread and sprinkled over yoghurt and fruit. So the best part for me is the Nutribuddy Breakfast Shake. It is gluten-free, suitable for vegetarians and vegans - again subject to the milk substitute. It is also low calorie - 121 per serving and completely sugar free, which is great for a calorie controlled diet. 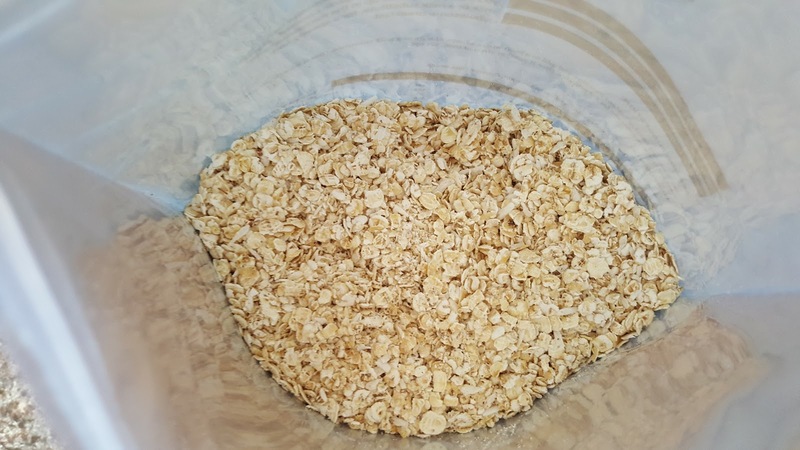 The ingredients are nice and simple as all it contains is a mix of oats, seeds and coconut. I love this as some mornings, I just don't have time for anything, let alone sitting down at the kitchen table and eating an amazing healthy breakfast, I need something for on the go that is equally as healthy. If I have to go out then I'll make myself a fruit smoothie so at least I've had loads of goodness, however, if I haven't got the time to wait for my Kitchen Aid blender to whizz up a load of frozen fruit (because we all hate lumps of fruit !!!) , I can now add 3 scoops of Nutribuddy Breakfast Mix in a Nutribuddy Shaker with milk or a milk substitute Shake and Go.... It's so simple, it mixes well and it tastes so good. There is desiccated coconut in the mix so it is 'bitty' so you need to prepare for that. If you have a blender on the go, like Nutribullet or Breville then obviously you can blend it smooth. 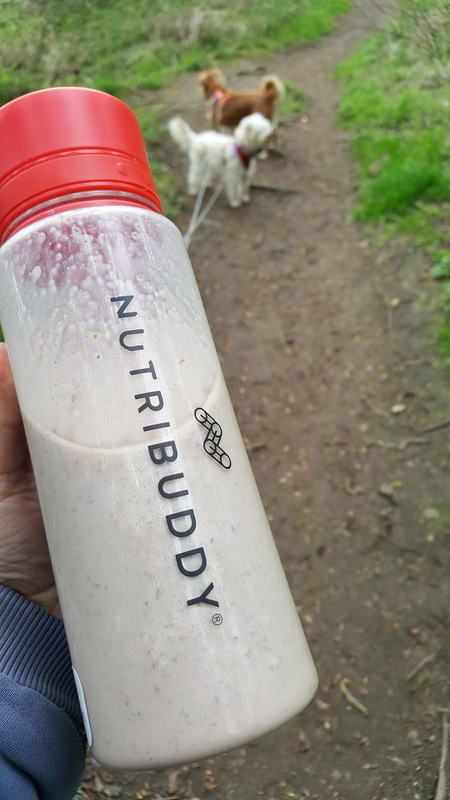 I have actually blended with the Nutribuddy Breakfast and added frozen fruit or just a banana and I love it. The Nutribuddy Breakfast comes in three flavours - Vanilla, Chocolate Brownie and Naked (unflavoured and unsweetened) so you have the choice to add flavours to the plain or just have it plain. I have tried both the vanilla and chocolate brownie and I personally prefer the vanilla flavour for breakfast, but as a cheeky treat later on in the day, I'll have the chocolate brownie flavour. 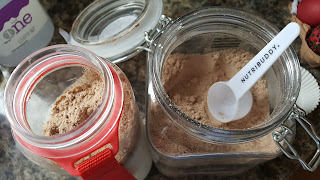 You can also buy the mix in the jars or in a refill bag, the choice is yours. 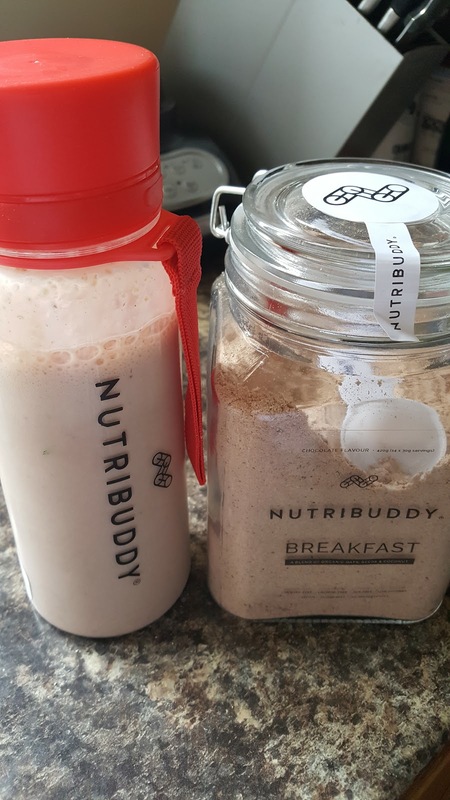 Breakfast on the Go the quickest and easiest way. However if you subscribe to a 3 or more shipment plan you can save up to 30% with a free gift. 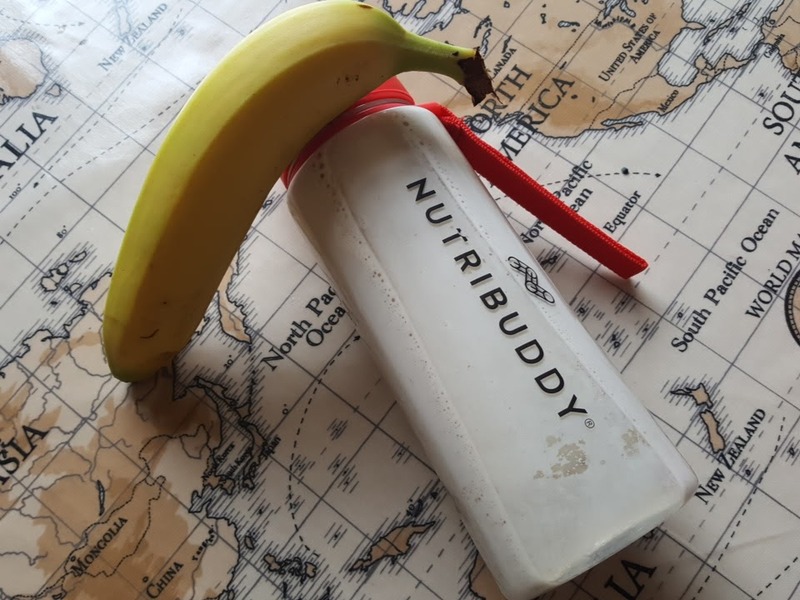 Free UK Shipping for all orders over £35 and they also have a fantastic loyalty scheme where you earn points with every purchase. As I have bought so much Sculpting Whey last year I accumulated many points which means I saved money on my breakfast orders. There is only one catch and you have to use your points within 6 months but that's ok with me as I purchase so much. So pricewise, I think it's good value plus it tastes amazing. 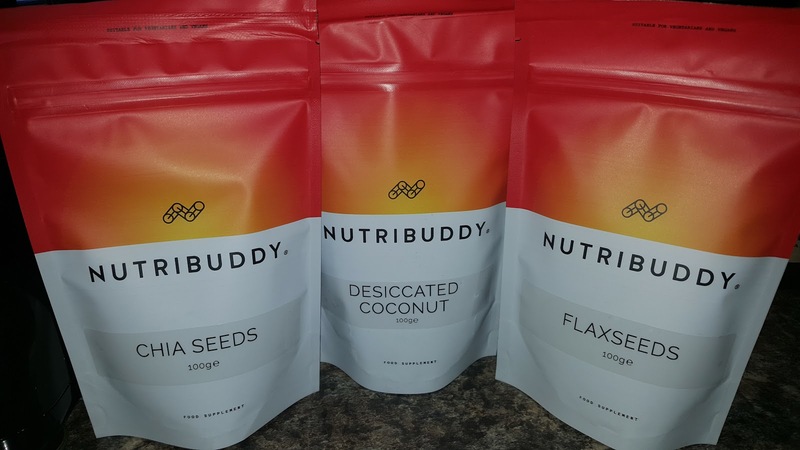 Order yours HERE direct from Nutribuddy. I couldn't live without my Nutribuddy now. It is firmly in my diet and I have recommended it to many of my friends who also state how amazing it is and the taste ....... oh my ....... seriously the best tasting protein shake I have.